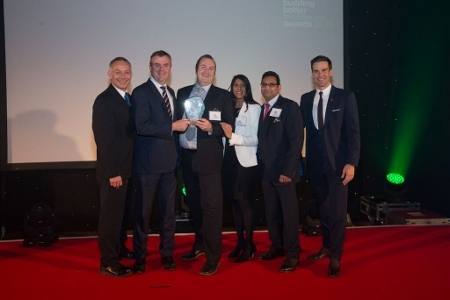 As part of the 2015 Building Better Healthcare Awards, six gongs were handed out in the Product category, which recognises and celebrates products and services that are helping to enhance the health and social care sector. The winners were chosen from more than 30 entries across four categories, with the judges choosing two winners in two categories due to the strength of the nominations. 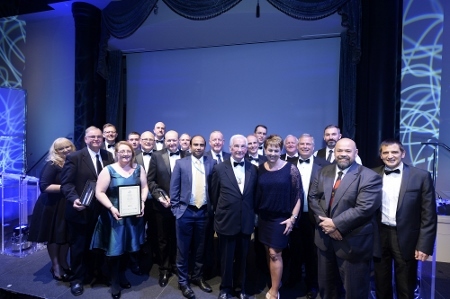 Prizes were presented by celebrity host, Gethin Jones, and recognised excellence in products including communications and IT solutions, and furniture innovations. Here, we profile the winners of each of the awards. The new Active Birth Pool offers midwives and mothers an incomparable combination of contemporary ergonomic design, superior proprietary materials, and bespoke manufacturing techniques that place it firmly at the pinnacle of water birth pool development. The organic design contains an abundance of features that support and comfort the mother, both physically and psychologically, to help her relax, cope with pain, and experience a physiological labour and natural birth. The space, depth and features encourage the mother to move freely and explore the upright positions that are most comfortable and beneficial for helping labour to unfold. Unique to the Active Birth Pool, the safety seat is the perfect platform for mothers to rest on and is ideal for monitoring the mother and providing a practical means of evacuation in the case of an emergency. The labour support seat encourages the mother to lean forward, enabling her pelvic joints to open and expand to create space in the pelvic bowl for the baby to turn and move through. The rim flows seamlessly over the bullnose-shaped edge and down to the floor, encompassing the form of the pool to provide room for midwives to sit with their legs underneath. The new Active Birth Pool also takes the experience of the partner into account by enabling them to be comfortable and relaxed as they support the mother and share the experience. Furthermore, mothers can control the ambiance of the room with the remote-control multi-colour LED lighting and integral bluetooth sound system. 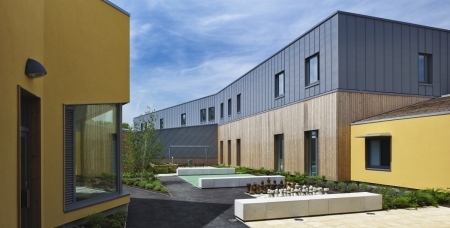 Earlier this year the new-build specialist children’s ‘Hospital in the Park’ opened in Liverpool, replacing the outdated, 100-year-old Alder Hey Children’s Hospital. 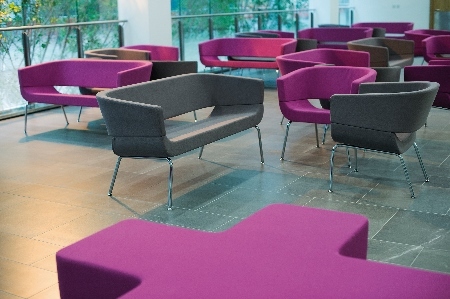 The design concept, inspired by children, is unique and instantly recognisable and has captured the imagination of children, parents and staff. Designed by BDP Architects, and built by Laing O’Rourke Construction, the new £237m facility will be one of Europe’s biggest and busiest children’s hospitals and a centre of excellence for young people with cancer, heart, spinal and brain disease. To achieve the design concept of extra-spacious wards, the BDP team commissioned special child-friendly, full-width glazed bedroom and ward doors. There was an extensive international search for these unique doors, which were specified to be easily opened manually, with no power assistance. AXIS Automatic Entrance Systems of Northampton was able to offer a new concept and design for a manual door, which satisfied all the critical architectural and operational requirements specified. In fact, the doorsets were originally specified to meet a force of 22.5N or less, but Axis actually delivered doorsets with an average opening force of 10N - less than 50% of the original specified force requirement. AXIS has now manufactured and installed more than 200 of the custom-made AXIS Flo-Motion Manual Sliding Doors. The door employs a special low-resistance track system that can be operated with minimal effort using fingertip control. Each is operated with back-to-back nylon handles. Opening and closing is cushioned in each direction by special damper mechanisms and seals are fitted to limit the intrusion of external noise into a closed ward. For complete visual privacy, these double-glazed doors include integral sealed-in venetian blinds, easily operated by a magnetic slide switch to open or close the horizontal slats. AXIS Flo-Motion door-sets are fabricated using aluminium extruded profiles and include a self-supporting goalpost frame. Door widths at Alder Hey range from 1000mmw to 1800mmw. Where necessary, matching fixed glazed screens are installed adjacent to the sliding doors. The IDEXX Pseudalert test is a rapid method for the detection of Pseudomonas aeruginosa (P.aeruginosa) in drinking and recreational water. In 2012, P.aeruginosa was responsible for a disease outbreak in Northern Ireland, where four infants died in neonatal units. Health officials subsequently established hospital testing guidelines under the Health Technical Memorandum 04-01 Addendum: Pseudomonas aeruginosa – advice for augmented care units. Following this, IDEXX spent two years undertaking trials using Pseudalert to demonstrate equivalence to traditional membrane filtration methods for detection of P.aeruginosa and suitability for hospital testing. The major advantage of Pseudalert is that a confirmed and quantified result can be achieved in 24 hours, less than half the time taken by standard methods. This allows results to be determined faster and remedial action taken sooner, potentially saving lives. 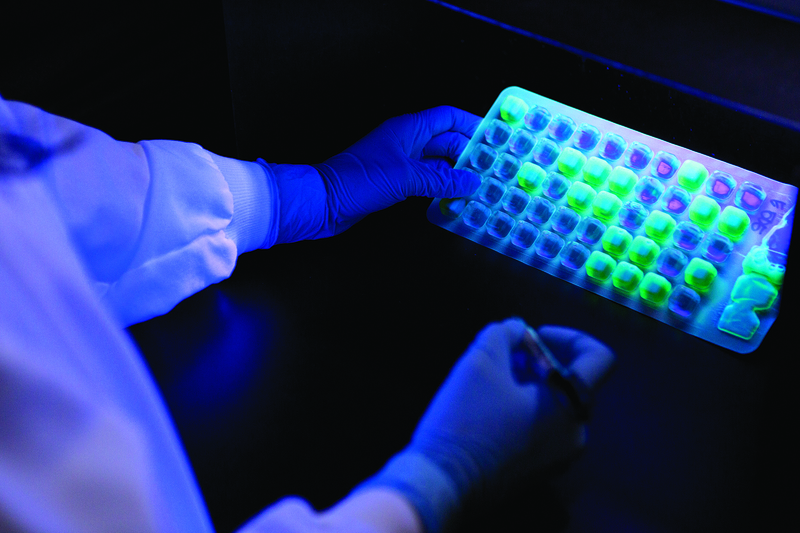 Where quantification of a sample is required, IDEXX has developed a simple device, the Quanti-Tray, which consists of 51 individually sealable cells. The Quanti-Tray can also be incubated for 24 hours after which the fluorescent cells can be counted and quantified. The Pseudalert/Quanti-Tray method does not require confirmation testing for atypical strains of P.aeruginosa, saving up to six days additional analysis, with the added advantage of providing confirmed counts within 24-28 hours compared to 40-48 hours or longer for other methods. Nuffield Health is a not-for-profit business aiming to make the nation healthier and it is constantly exploring options to reduce its energy intake and environmental impact. The wellbeing centre at Hertford was chosen as one of the sites to trial reclaiming energy from air conditioning systems which could then be re-used for hot water production. This site also had issues due to its proximity to local houses as the water chiller was originally installed with noise attenuators – silencers - which on warm days caused the chiller to struggle to achieve its target temperature due to the restricted airflow through the condensers. This meant that in the summer the attenuators were often left open, which, in turn, caused noise pollution for nearby houses. The project had four objectives: To reduce gas and electricity consumption; to reduce the environmental impact of the site; and to reduce noise pollution for local residents. 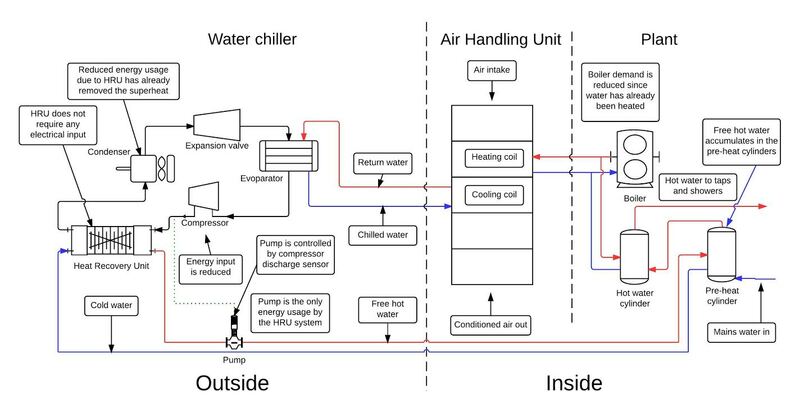 In response, a heat recovery system was designed and built to work with the existing plant and to remove the available waste heat from the chiller. The water produced by the heat recovery system was at 64C, which was then used to meet part of the hot water demand on site. The heat recovery system uses automatic controls and, in effect, increases the condenser capacity by 20%. This reduces the load on the compressor and, in turn, the energy demand of the chiller, thus providing lower energy consumption from the chiller and considerable amounts of free hot water. Since the Geyser heat recovery system is only recovering energy, and not generating it, very little energy input is required, in fact the system uses only 60w/hr. An Itron CF Echo II energy meter was used to monitor the savings and after 12 months of operating, the heat recovery system proved itself by reducing gas consumption by the boilers by 127,680 Kwh; reducing electrical consumption by the chiller by 42,000Kwh - just under 10%; by reducing carbon emissions by 45,44 tonnes; and by removing the need for the attenuators to be opened in the summer, with no noise pollution nor complaints from residents. On average, every day of year the site is getting over 5,000 litres of hot water for free and at the same time using 115Kw/hr less electricity. This is enough energy to make over 22,000 cups of tea every day. In financial terms the installation is saving £9,600 per annum, not including any savings from reduced carbon taxes, and is providing a payback of only two years. Lolli Olafsson, general manager at Geyser Thermal Energy, said: “In the last few years much focus has been on government incentives to use renewable sources for generating energy. “Refrigeration systems can be one of the highest costs for many businesses and they also contribute considerably to global warming. “This project has shown that there are technologies out there that can increase efficiencies, reduce carbon emissions, and save energy without the need for government. The two-year payback achieved on this project is purely from improved energy usage within the site. The system was installed by First In Service and the hot water storage cylinders were bespoke built by Telford Copper Cylinders. Kent Kidney Centre, run by the East Kent Hospitals University NHS Foundation Trust, provides dialysis services and is centred at Kent and Canterbury Hospital. The renal unit was built in 1971 and started to provide dialysis treatment in 1972. Inpatient care is provided on Marlowe Ward, with 16 general and 14 acute nephrology beds and a six-bed daycase area. In addition, the unit has 30 outpatient dialysis stations in Thomas Beckett Ward, which operate two shifts a day, six days a week. The central renal dialysis water system at Kent and Canterbury Hospital consists of a reverse osmosis system that operates for 18 hours a day, generating some 3,400 litres an hour of high purity water. The trust has a Sustainable Development Management Plan to reduce water consumption by 25% by 2020. To help meet this target, the 1,100 litres per hour of reject water from the renal unit’s reverse osmosis plant (RO) was being discharged into the hospital’s grey water recovery system. This reject water had been softened and filtered during the reverse osmosis pre-treatment and the renal technicians felt that it was too good to simply pass into the grey water system. Using the RecoBLUE online calculator developed by Veolia Water Technologies the technicians concluded that it should be possible to recover at least 550 litres an hour of the reject water and recycle it straight back into the holding tank of the renal unit’s RO plant. This would reduce the consumption of both mains feed water and salt for the pre-treatment softeners, with a significant operating cost benefit for the renal unit. It was time to talk to Veolia’s Reco Solutions team. Veolia’s solution was a RecoBLUE Recovery reverse osmosis unit designed to treat all of the 1,100 litres an hour of reject water and recycle at least 50% of it to a permeate quality significantly better than the mains water supplied to the unit. Although RecoBLUE recovery solutions have been used in a number of industries; this is the first time it has been implemented in a renal dialysis unit. 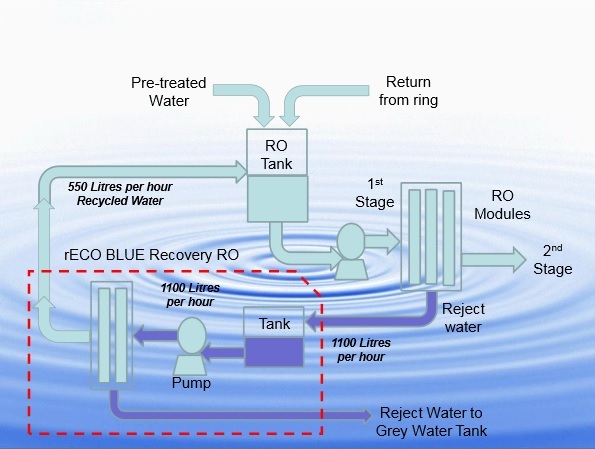 The reject water from the main reverse osmosis unit was diverted from the grey water system into a break tank, from which it was fed to the RecoBLUE Recovery RO unit. The permeate from the recovery RO unit was fed back directly into the main RO unit interstage break tank and the remaining reject discharged to the grey water recovery system. The Recovery RO system was commissioned in April 2014. The installation recovers 50% of waste water, will pay for itself within three-and-a-half years, consumes less salt; and reduces the trust’s overall carbon footprint. 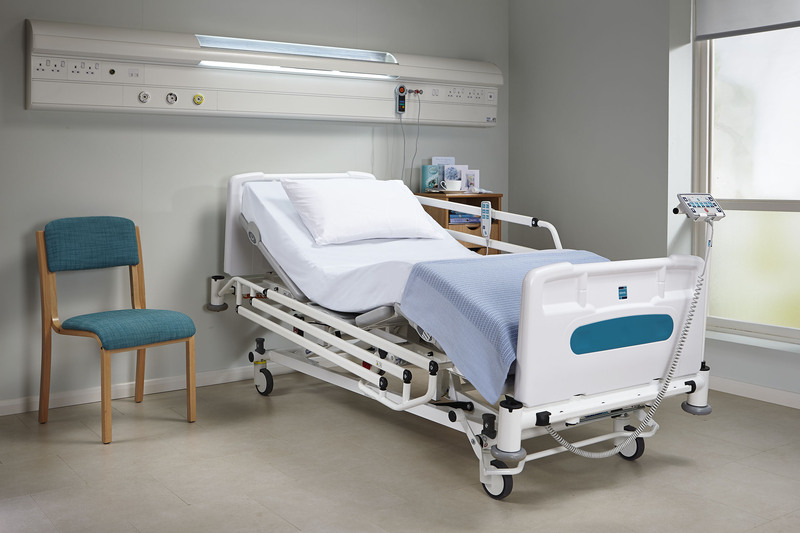 Dubbed ‘the modern ward bed with intelligent thinking’, Sidhil’s versatile Innov8 iQ represents a step change in flexibility of design and functionality for acute ward beds. Developed by Sidhil, and manufactured in the UK, the Innov8 iQ is designed around optimising tissue viability, infection control, and health and safety in terms of manual handling and falls prevention. The extremely-low bed platform height minimises the risk of falls, particularly for elderly and infirm patients; and in order to reduce the time staff spend repositioning patients, the beds feature auto contouring where the backrest and knee break operate in harmony. Redesigned handset controls use graphics to ensure that these electrically-operated beds can be set to position themselves quickly and accurately in line with nursing procedures; and angle indicators show the angle of tilt to help with specific nutritional and post-operative nursing procedures. Furthermore, carefully-engineered components keep manufacturing costs down. The judges said: “Patient beds are a problem. When they are good, they are very, very good, but when they are bad they are horrid. This is an example of where they have got it right. Blys is a new light source designed to address problems of sleep deprivation due to anxiety, particularly for the elderly. 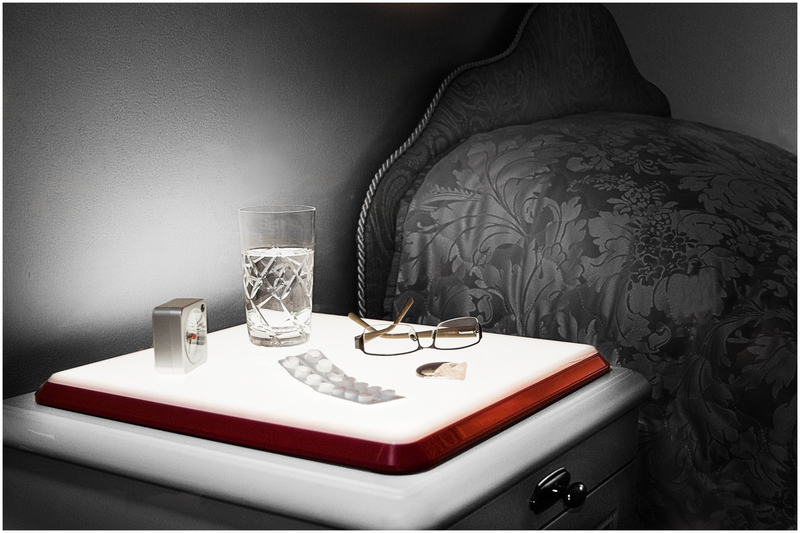 It is a combined nightlight and bedside surface that provides a low-level glow. On waking it provides a focus in a room, so items such as spectacles, water, phone, even bedside lights and other personal items are easily identified. A low level of light from the tray also provides an immediate focus and sense of security if wakened during the night, while preventing the shock experienced when turning on conventional lighting, or the frustration of finding the light switch. It is controlled by means of a simple touch panel. Hand contact anywhere along the main edge the unit switches it on or off, and the brightness can be altered. Blys derives from 'SomnIA', a research programme by a consortium of universities as part of the New Dynamics of Ageing initiative. The main research partner was the Bath Institute of Medical Engineering, now Designability. The main aims were to understand the meanings and determinants of poor-quality sleep among older people in the community and in residential settings; and to develop cost-effective approaches to non-pharmacological self-management of sleep problems among older people. The main reasons for anxiety and sleep deprivation, were the unfamiliarity of the (new) surroundings, the 'stranger' walking in the room to check on them, the temporary blindness impact of switching conventional lighting on, and the common occurrence of knocking table lamps off bedsides. The result of sleep deprivation is not only continual tiredness, causing risk, unclear thought and communication, ill temper, both for resident and staff, but also the lack of deep sleep, which can accelerate dementia. Formal trials were undertaken by Designability prior to E2L redesigning and commercialising the product. Outcomes were all very positive in terms of suitability, benefit, ease of use, and maintenance. The product is commercially available throughout Europe and the USA and while nursing and care homes are the major users, other applications such as people with poor night or general vision, laboratory work etc are being found. Cost benefit analysis has revealed that Blys reduces night-time anxiety, therefore improving sleep patterns; improves temperament in residents as they are more rested; reduces night-time attendance calls as it provides focus for immediate needs; reduces falls through disorientation, reduces the advancement of dementia; and eliminates temporary visual impairment due to lights being switched on and off. It also eliminates need for bedside table lamps and reduces breakages, enables staff to move in safety without switching lights on, and reduces staff demands due to improved sleep patterns. 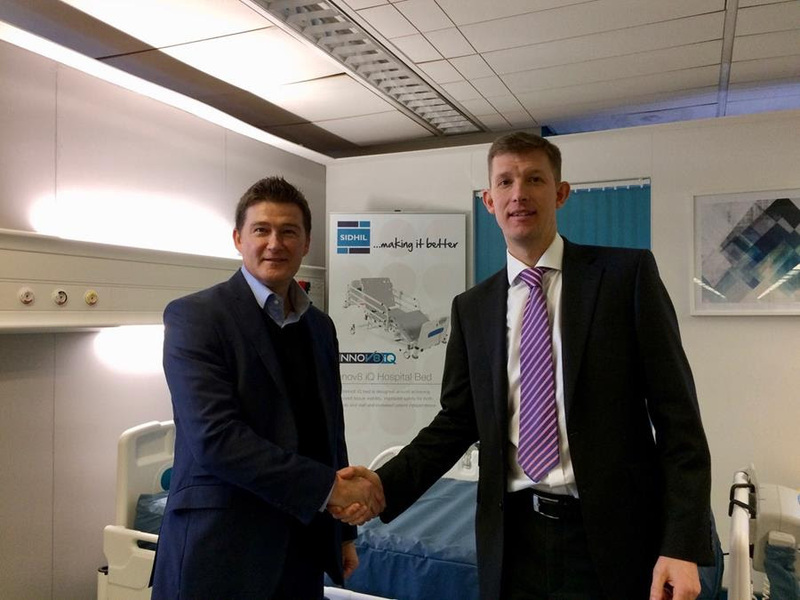 Suitability for both hospital and care home environments has been extensively tested in conjunction with a multinational hospital furniture manufacturer looking to integrate the product into its own equipment. King’s Health Partners (KHP) is one of six Academic Health Science Centres in England designated by the Department of Health. Its aim is to create a centre where world-class research, education and clinical practice are brought together for the benefit of patients. Essentia Technology, the in-house facilities and IT directorate of Guy’s and St Thomas’ NHS Foundation Trust, has supported this aim by being the technical lead on the new KHP Online portal, which enables patient information to be shared quickly and securely between the six health partners. Before KHP Online, accessing and sharing patient information increased the risk of unnecessary tests being carried out if the results were not available, or delays in treatment or follow-up appointments. To negate this, KHP Online connects Guy’s and St Thomas’, King’s College Hospital, South London and Maudsley and Lambeth and Southwark primary care electronic patient record (EPR) systems. It provides access to a consolidated view of patient demographics, visits, results, documentation, allergies, PACS images, community, oncology and diagnosis information. Since the project went live in July 2014 a total of 17,051 results have been viewed on KHP Online, saving the partners £115,265 at the midpoint tarrif. Using the higher tariff of £13.28, the partners will have saved £226,437 in just five months. Extrapolated annually, this will result in total annual savings of £543,449, not including staffing and logistical costs of performing laboratory tests. At a cost of £1.1million to implement, KHP Online has an expected payback period of only two years. The judges said: “This is a really good idea. It enables the sharing of a lot of information that is vital for good, joined-up care. Imerja’s Video-as-a-Service solution (VaaS) is a state-of-the-art, managed telehealth offering using the latest diagnostic-quality video and audio technology and enabling clinicians to remotely assess and diagnose patients, regardless of their location. Reducing the need for travel has significantly improved access to niche medical expertise, delivering significant efficiency savings and enabling the provision of high-quality care across large geographical areas. VaaS is a proven way to improve delivery and outcomes while reducing costs. This flexible offering is a compelling example of how innovative use of IT can support clinical treatment and care, addressing both primary and secondary healthcare scenarios and helping to relieve the burden on the NHS. Speech and Language Therapy (SLT) services at Blackpool Teaching Hospitals NHS Foundation Trust are pioneering the use of VaaS, enabling the remote assessment of swallowing difficulties (dysphagia) of elderly and vulnerable people in nursing homes that have experienced a neurological illness, stroke or other age-related disease. This has facilitated better utilisation of very-limited SLT resources across the North West. Dysphagia can be an indicator of serious issues, including pneumonia or malnutrition, and can result in long-term care and life-threatening scenarios. This initial VaaS project – Teleswallowing – has a number of potential benefits including reducing the need for travel; reducing the time spent completing a home visits, from 90 minutes to an average of 30 minutes; and improving access to specialist care across a large geographical area. It has also increased staff efficiency, enabling clinicians to see approximately three times more patients each day; has reduced the need for inpatient admissions and bed blocking by people that can be treated at home or in the community; and has reduced patient distress and the chance of their condition deteriorating. VaaS adheres to the NHS’s 5 Year Forward View, offering a more-efficient and effective use of scarce clinical resources. The solution is hosted by Imerja’s 24/7 monitoring service, ensuring reliability and continuous availability – this is vital and potentially life-saving in an emergency situation where the service is used to deliver rapid response services in A&E departments. Imerja’s VaaS solution has the potential to be used for a huge number of applications and it is currently being used in five separate organisations. Additional pilot schemes are being planned for healthcare areas including tele-orthopaedics, mental health services, and specialist ambulance services. Nervecentre Software uniquely provides a whole-hospital mobile platform that delivers electronic observations, handover, 24/7 task management and clinical assessments, and allows governance and escalation management to be added to any process. This innovative solution for NHS trusts provides the ability to positively transform patient safety and revolutionise productivity within a hospital using applications that make it easier for clinicians to communicate, share data, and leverage resources. This new innovation is currently being showcased in the pioneering project at Nottingham University Hospitals NHS Trust (NUH), driven by its Recognise and Rescue programme, which aims to improve the care of deteriorating patients through a multi-disciplinary, trustwide strategy. In 2014/15 Nottingham University Hospitals became the first UK trust to deploy an electronic observations, handover and 24/7 task management system through mobile devices designated to all 4,500 clinical staff members using Nervecentre Software. The key innovation with the Nervecentre solution at NUH is the integration of electronic observations with the Handover system. This combination enables clinicians to carry real-time patient information in their pockets wherever they are in a hospital. These two elements alone provide measurable communication benefit. But, with the addition of ‘intelligent escalations’ and ‘task management’, it ensures a robust 24/7 workflow that is governed and fully auditable. Initially, NUH and Nervecentre ran several pilots in the hospital to make sure that not only were the original project objectives being met, but also to determine whether any additional benefits could be achieved. Rollout is now complete and today there are over 3,000 clinical users of the system recording more than 8,000 electronic observations a day on mobile devices. More importantly, this has resulted in over 100,000 automated escalations to alert staff to deteriorating patients and the need for immediate clinical intervention – a giant leap forward to improving patient care. Traditional paper-based communication methods have long been associated with accidental errors, omissions and misinterpretation, all of which are major-yet-preventable causes of patient harm. However, the Nervecentre platform addresses these issues and enables hospitals to effectively record, share, and respond to patient information at anytime from anywhere in a hospital, seven days a week, 24 hours a day. Bedside observations of vital signs - pulse rate, body temperature, respiration rates and blood pressure - are recorded on mobile electronic devices and, simultaneously, into an intelligent centralised data storage platform. Real-time patient information is therefore instantly available to medical staff from any electronic device, allowing for the prompt detection of changes in health status. When the vital signs indicate a doctor is required, the Nervecentre solution will pro-actively find the most-appropriate doctor, registrar or outreach nurse as per hospital policy. This is achieved by maintaining a real-time record of every doctor and nurse in the hospital, along with their role, location and which patients they are looking after, to pro-actively drive the escalation. The system guarantees a rapid clinical intervention, day or night, all without the nurse leaving the patient’s bedside. To find out who won other awards at the ceremony, click here.